CD review: Chamber Music/Blackout 2/Dopium | What would Van Damme do? While the Wu-Tang Clan may be “forever,” according to the RZA, checking for the Wu in recent years has been a hit-or-miss proposition. Aside from the consistently excellent Ghostface, Wu-Tang releases have been spotty at best. 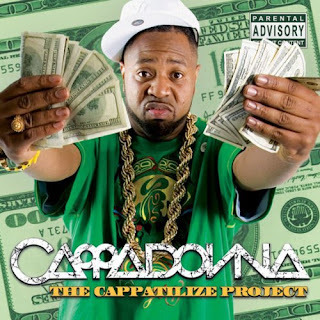 RZA’s last album was atrocious, Raekwon’s “Cuban Linx II” is rap’s equivalent of Chinese Democracy, and let’s not even get started on what Cappadonna is doing these days. Even “8 Diagrams,” Wu-Tang’s alleged group comeback album was not without its issues. For every good song, there was an almost unforgivable misstep like “Starter” (man, that is one of the worst Wu-Tang songs ever put to wax – worse than “Conditioner” or “Black Shampoo”). So, it’s a pleasant surprise to report that three recent, very different Wu-Tang projects are actually … good. “Chamber Music” allegedly came to pass because the RZA owed Koch Records another CD under his current contract, and so, he was given a fairly hard-and-fast date to produce an album, and this was the final result. It shows in the fact that while it is a very old-school, head-knockin’ Wu CD, it could have been so much more. In essence, this is merely an EP, with 8 real songs and 9 interludes – clever bait-and-switch packaging that makes the $14.99 price tag sting. Also the absences of Method Man, GZA and Masta Killa are felt throughout, as all would have been perfect for the grimy beats put together by a live backing band. I assume time constraints prevented them from participating, but it is a definite loss. But once you get beyond all that, what you’re left with is a return to form for the Wu, spurred on by some inspired guests. The conceit behind the album pairs Wu members with fellow East Coast underground MCs, and everyone seems to be motivated to put their best foot forward. The lead single, “Harbor Masters,” features Ghostface, Inspectah Deck and one of my all-time overlooked MC’s, AZ, going in for four minutes of fire. Seriously, if I had 17-song album like this, I don’t think it would ever leave my CD player. The rest of the album is filled with gems like this, from “Kill Too Hard,” featuring Deck, U-God and Masta Ace to “Radiant Jewels” with Rae, Cormega and Sean Price. It makes you wonder why in the hell no one was rapping like this before. Method Man has always been an iffy solo artist, but he’s done some of his best work with fellow blunt brother Redman. And after decade-long wait, the pair finally released “Blackout 2,” the follow-up to their 1999 smash hit. The thought was perhaps the pair waited too long, but there’s no doubt that the chemistry these two guys have is still intact, as they’ve put together a strong album that doesn’t tarnish the original at all. Mr. Mef is a technical wizard, delivering his verses with precision, while Red is like your crazy uncle, coming in with random non sequiturs and dated punchlines (“old school like Vince Vaughn). But their contrasting styles have always meshed, and here is no different. Take the first single, “Ayo.” Although not the strongest song on the album – those honors belong to the classic “City Lights” featuring Bun B – Meth and Red make it work simply by being themselves, and before long, you’re nodding along to the beat. Meth and Red don’t stray too far from the formula – Erick Sermon is behind the boards for most of the tracks, and there’s is plenty of weed talk – but that remains comforting in this day and age of ringtone rap and autotune hooks. A few years ago, U-God released one of the worst albums of all-time, the worthless “Mr. Xcitement”. Under no circumstances, I proclaimed, was I ever going near a U-God solo album again. But being a Wu-Tang completest, when I heard that he had a new album coming out, and steeled myself and gave it a listen. And lo and behold, “Dopium” turned out to be a dope album, playing to U-God’s strengths and capitalizing on some of his (more talented) friends. Smart move No. 1: using Ghostface on the lead single, “Train Trussle.” With a Mike Tyson vocal sample and a throwback RZA-esque beat, U-God delivers the hardest song he’s made in years. I had to play this again just to make sure this was him. I’m not as sold on the random dance mixes included on the end, but we are talking about U-God here, so there’s always room for weirdness (this after all, is the guy who dressed up as a low-budget superhero in his “Bizarre” video). These three releases give me hope that Wu-Tang isn’t washed up after all. I can only hope the next batch of Wu releases is up to this level. ~ by Elliott on August 14, 2009.